After a post dismissing the future of mainstream rock as gloomy, it appears to have not been a bad week for guitars. After a solid EP last year, the Manchester trio are continuing to keep the quality high with this new belter of a track which sees singer/instrumentalist Jen delivering another roaring hook complete with more fiercely fuzzy guitars. My dad introduced me to this song. That’s right, MY DAD. I clearly need to up my game if my folks are finding the tunes before I do. Sporting some superb vocals and tight riffage, the Reading rockers' latest release is a festival-tent filler - a darn sight better than the Little Mix track of the same name. ‘Macaroni on a seafood stick’ and Charles Burowski make up the lyrical content of this new zany track from Leicester lads Kasabian, sure to have those that lambasted the ‘we’re being watched by Google line’ of ‘Ezz-Ehh’ equally malcontent. Oh well, their loss. ‘You’re In Love With A Psycho’ may indeed be poppier than previous material – perhaps their poppiest yet – but it is excellent in it’s succinctness, boasting a devilishly catchy chorus that’s been trapped in my head all week. This LA electropop duo mix gorgeously longing vocals and synths so shiny you can see your face in them to create a nostalgia-soaked ballad that could score the euphoric ending to a classic college movie. ‘I hope it becomes the soundtrack to at least one teenager hitting the open road while giving him hometown the middle finger in the rear view’ state the duo themselves. 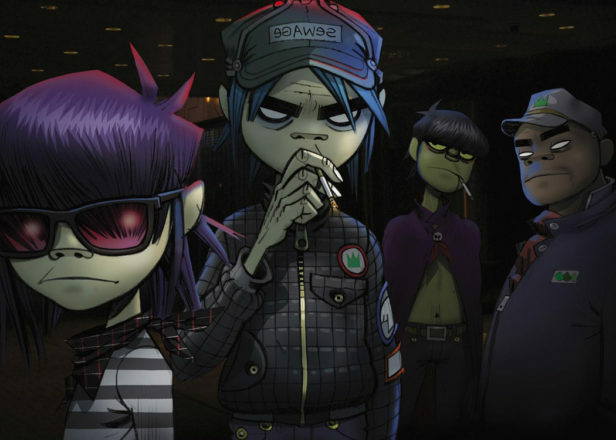 The Gorillaz just dropped four new singles... although I can't say I'm blown away by all of them. This groovy number might be the best of the bunch, perhaps because Damon Albarn takes the wheel on the vocals giving it authenticity, and maybe partially because I love cheesy eighties synths. Lovable rapper-singer D.R.A.M only features briefly with some shaky warbling that the single could have quite frankly done without, but otherwise it's a fun listen. Managing to write a summer pop anthem this generic is a feat. You disappoint me Weezer. This is Maroon-5-calibre crap.